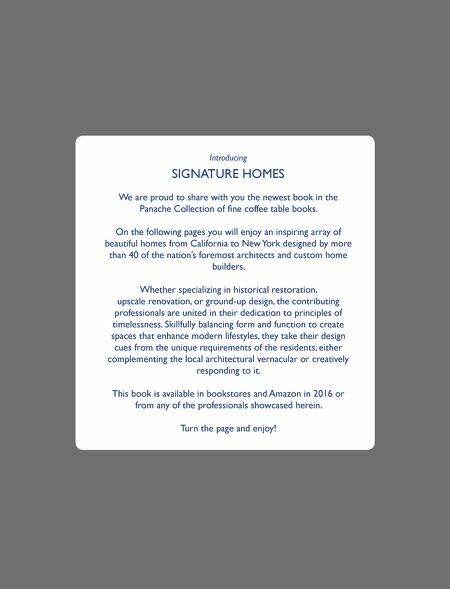 Introducing SIGNATURE HOMES We are proud to share with you the newest book in the Panache Collection of fine coffee table books. 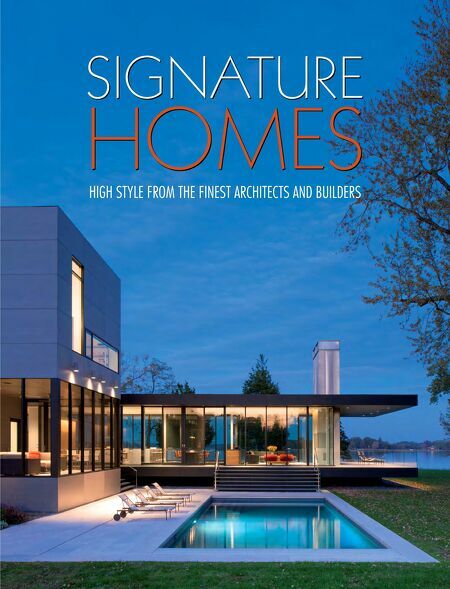 On the following pages you will enjoy an inspiring array of beautiful homes from California to New York designed by more than 40 of the nation's foremost architects and custom home builders. Whether specializing in historical restoration, upscale renovation, or ground-up design, the contributing professionals are united in their dedication to principles of timelessness. Skillfully balancing form and function to create spaces that enhance modern lifestyles, they take their design cues from the unique requirements of the residents, either complementing the local architectural vernacular or creatively responding to it. This book is available in bookstores and Amazon in 2016 or from any of the professionals showcased herein. Turn the page and enjoy!